The origin of the village of Cejl goes back to the Middle Ages when it resembled a village with an agricultural character; this was the reason for Cejl being located on the other side of the walls of Brno. 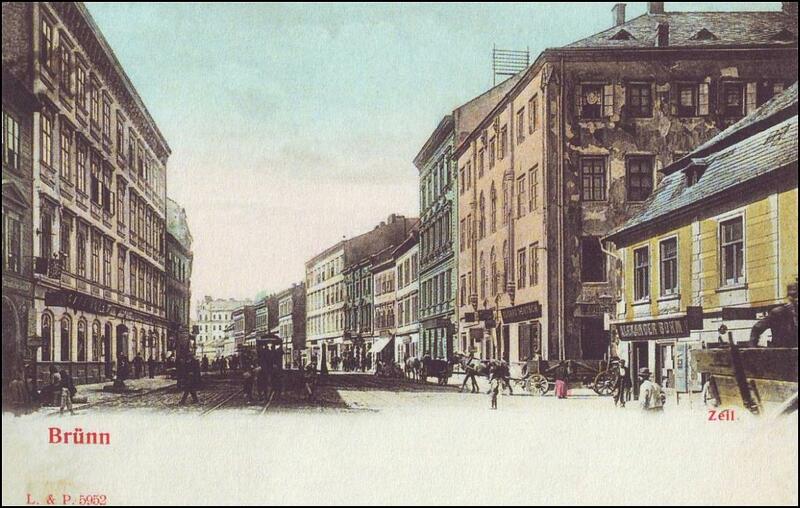 Later during the siege of the city by the Swedes in 1645, Cejl was burnt down and destroyed and had to be rebuilt. The name "Cejl" describes the form of the settlement houses in a row or rows along the path from Měnín Gate towards Zábrdovice. In German a "row" is called "die Zeile" (lat. Linea). But even after it had been restored, Cejl remained a place where peasants primarily lived, and then after industrialization workers from local factories. Industrialization actually meant a big change for Cejl – the first manufacturers and new businesses began emerging here. Thanks to this, Cejl became an important production area of the city and gradually started to acquire its typical working-class character. The textile industry did especially well here to which, increasingly, other industries started to take off as well, such as the gas and heating industries. At the beginning of the 20th century, Austrian Manchester, as Cejl was nicknamed, was also a place with a multi-national character. Inhabitants claiming German or Czech nationality lived here alongside a large Jewish community. Until 1770 Cejl was formed of one long street, that fact was changed by the construction of small family houses on the territory of Horní Cejl (Upper Cejl). 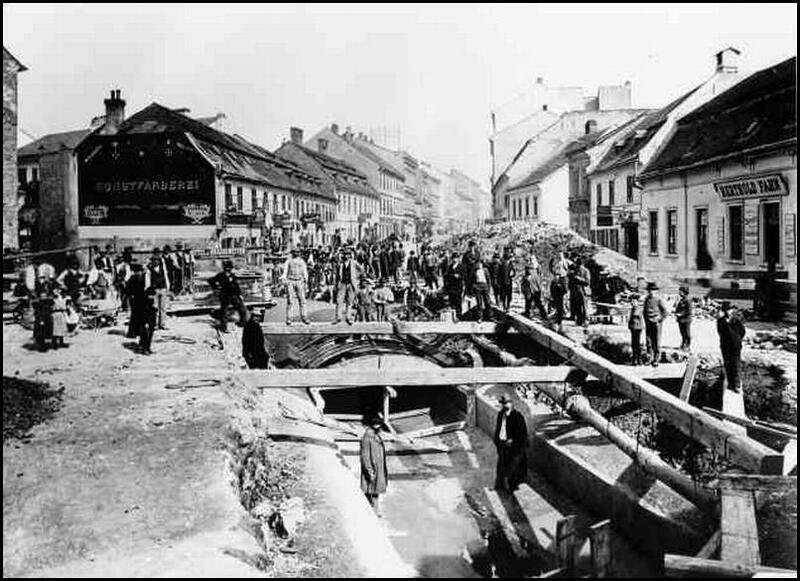 Thanks to this, Cejl began to transform into a lively street lined with shops and with local factories creating a diverse but very busy part of Brno. World War II changed the face of Cejl irreversibly. First the Jewish and then the German-speaking population disappeared from the neighbourhood and new residents moved into the empty houses, along with Roma, who constituted a large group. Problems with overcrowded housing began to appear and related problems of unsuitable living conditions. A further influx of Roma from Slovakia began in 1970, in the context of the liquidation order of Roma settlements. This situation culminated in 2003, when a change of Slovak social policy led to other Roma families coming to Brno from Slovakia - it is considered the root of the current district’s situation. These days the locality in the Cejl district is marked as Brno’s Bronx - it is as a result of an effort to capture the district’s problematic social situation and also the composition of the population. But whatever the Cejl area is known as, the facts are clear - it is one of the most socially-excluded parts of Brno, strongly perceived by residents of other areas as being negative and is considered an area best to be avoided. Despite these negatives, it is a location with strong potential in terms of its urban settlement structure with its attractive flat units and business premises, and is well located near the city centre. Administratively the area comes under two city districts, Brno-sever (Brno-north) and Brno-střed (Brno-centre). It is possible to find a high concentration of gambling houses, nonstop bars and pawnshops here, but on the other hand there are also a number of non-profit organizations operating in this problematic area. A specific aspect of the locality is also the concentration of so-called brownfields, meaning old, abandoned industrial buildings, which creates a unique genius loci completed by old courtyard balcony houses with inner courtyards, various recesses, inner yards and a visual axis of Špilberk castle. In the last few years a large number of no-profit organizations have risen up here in connection with the problematic character of the locality. They work here on improving the living conditions of the population, encouraging their integration and also to eliminate the adverse effects that the area offers. These organizations provide a variety of activities and types of programme that are trying to support not only the residents but also the local environment and the involvement of the population from other parts of the city. For example, the DROM Roma Community Centre, IQ Roma servis, the Museum of Roma Culture and the unique Ghettofest festival. Gentrification is a phenomenon associated with local socio-cultural development and revitalization of degraded residential city areas, when the wealthier parts of population come to an unkempt area. They significantly contribute, by their arrival, to the cultivation of the environment, building renovation, business support and employment opportunities. On the other hand, they significantly affect the price level of the living spaces. This leads to a gradual displacement of the original, poorer groups of the population, who cannot afford the continued rising price of land and real estate. We can see the beginning of gentrification in Cejl. A large number of urban and private residential buildings have been renovated here in the last five years: the newly-built eFI Palace complex with start up apartments, a hotel, restaurant and club, park, laundry, printing offices and fitness club. It is still definitely a challenge to deal with the negative impacts that these - otherwise positive changes - may have had on the district. The Integrated Urban Development Plan (Integrovaný plán rozvoje města IPRM) deals with territorial politics and serves as a tool for drawing financial resources from European funds. Thanks to this, a number of renovations of residential spaces and the general support of the attractiveness of the area happened within the project Renovation of residential buildings, in the Cejl neighbourhood in 2007-2013. 21 buildings have been renovated from the IPRM project. If you are interested in how Cejl district looks today and what can be found there, you can take a look at our interactive map before actually going there.